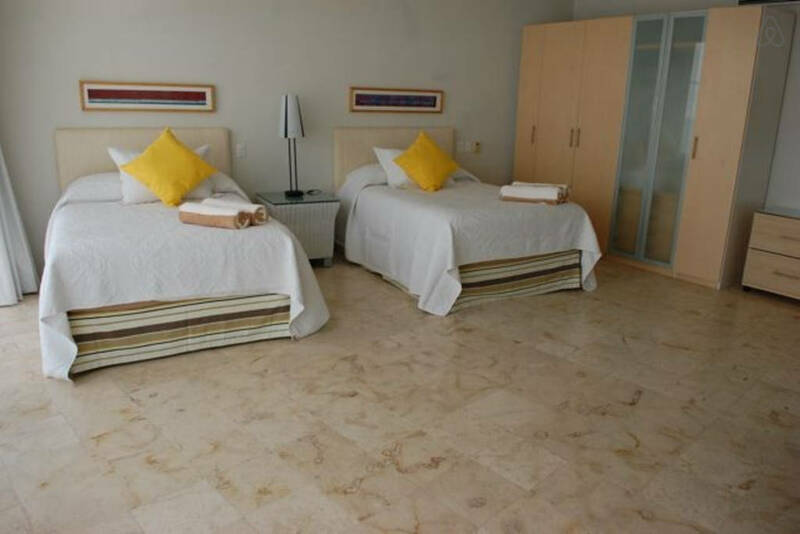 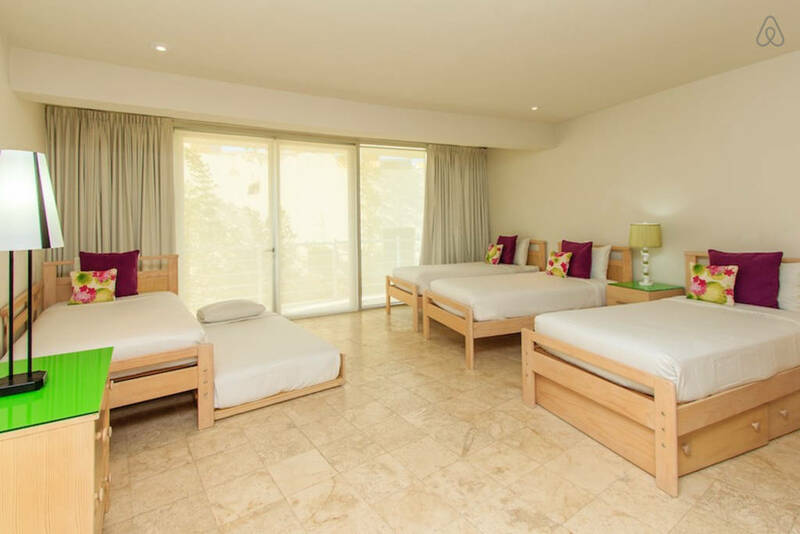 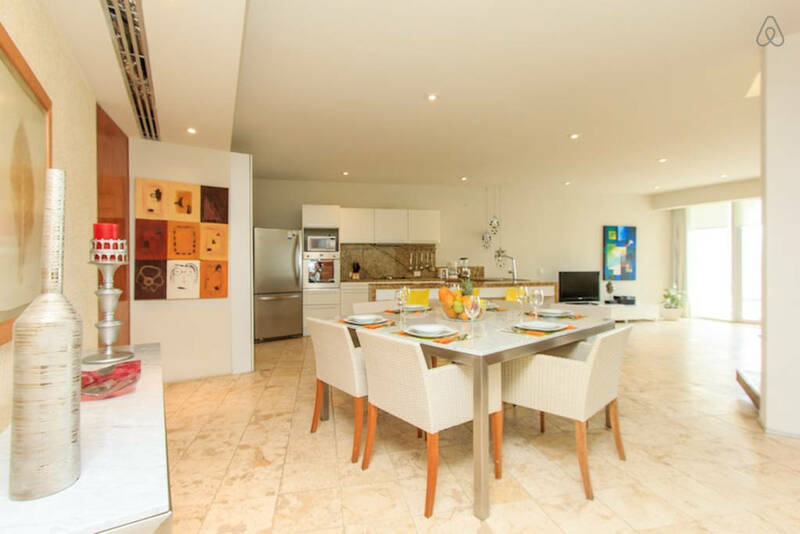 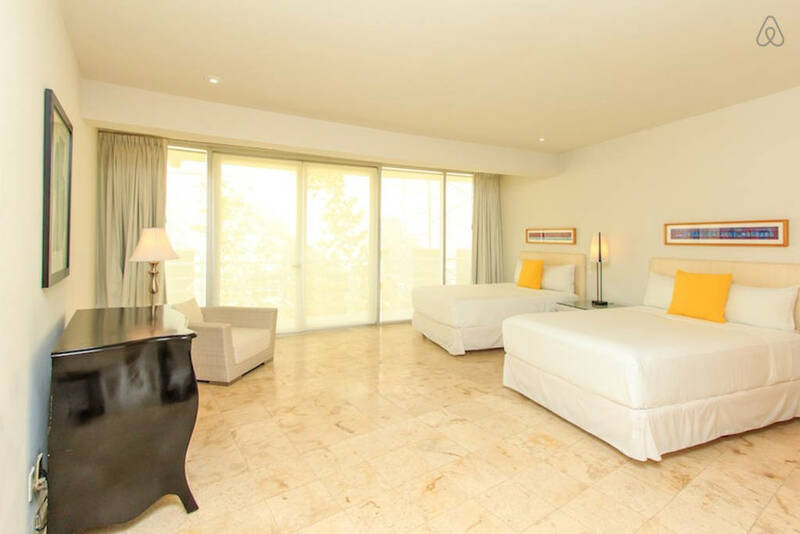 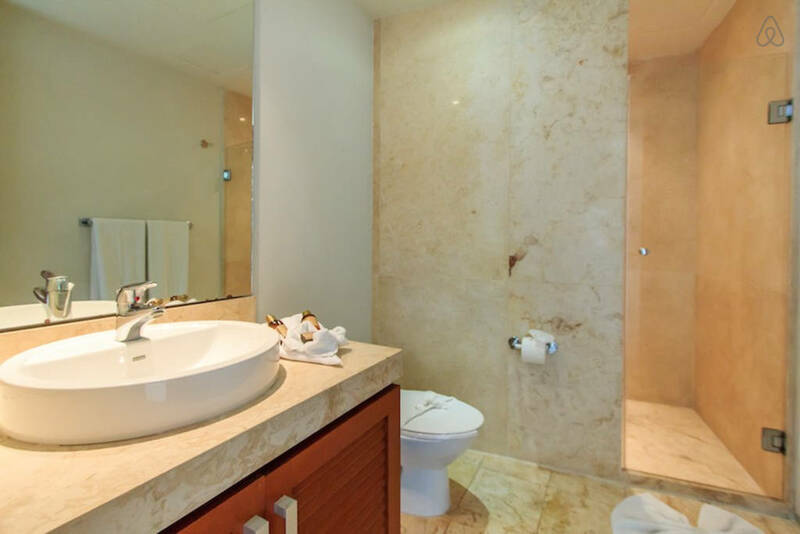 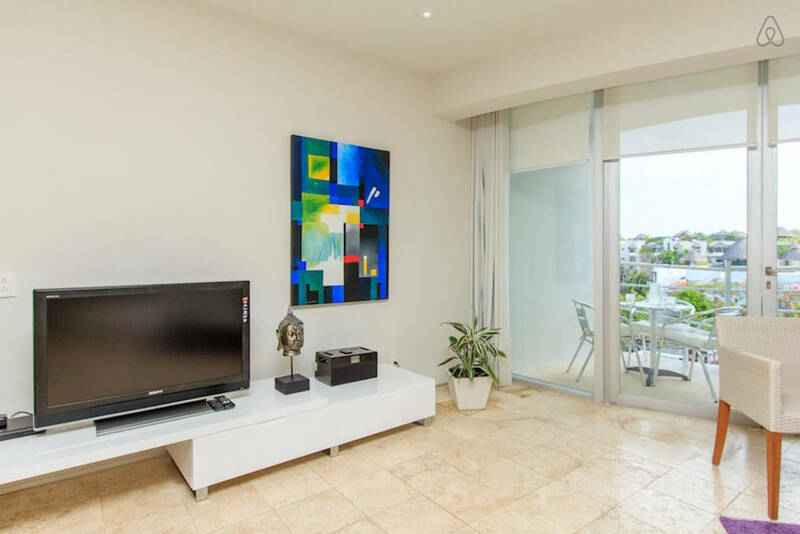 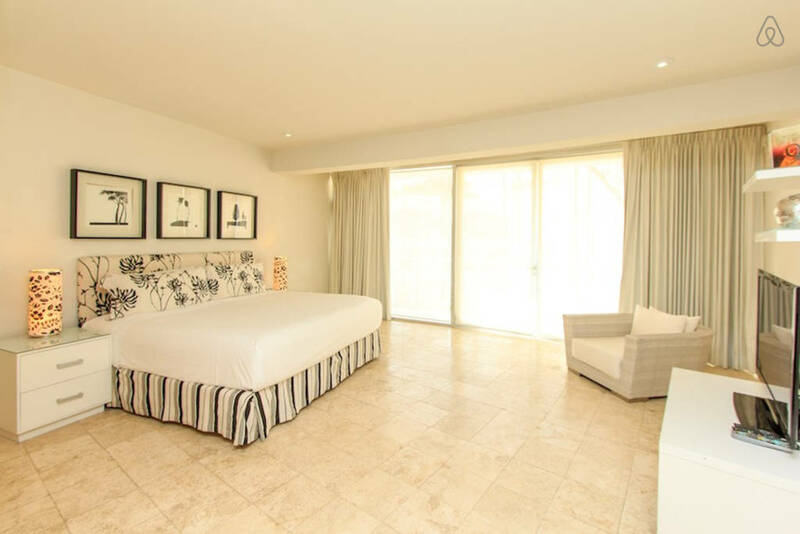 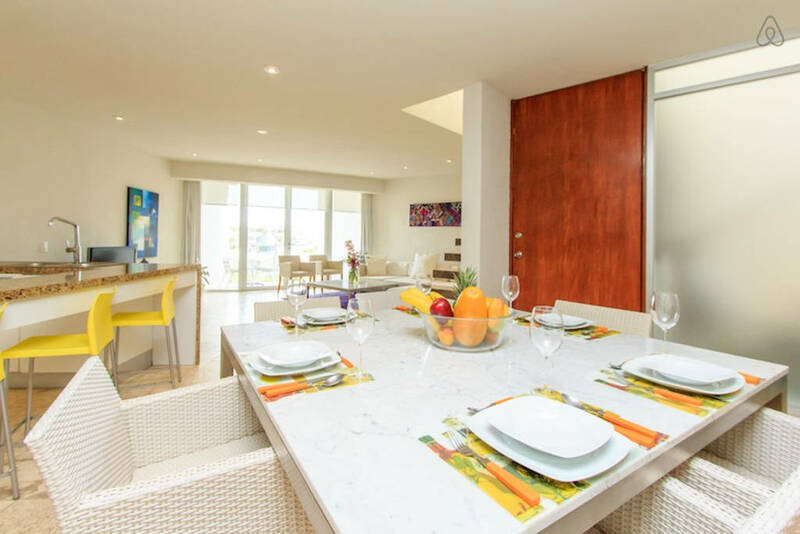 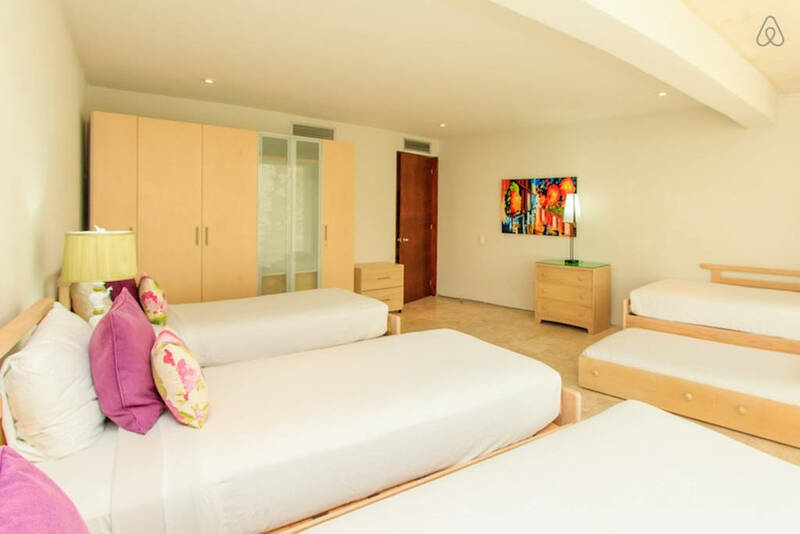 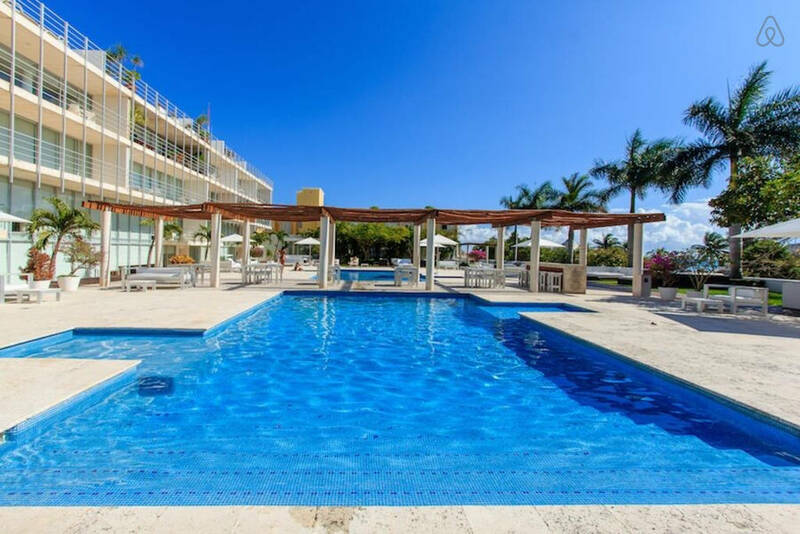 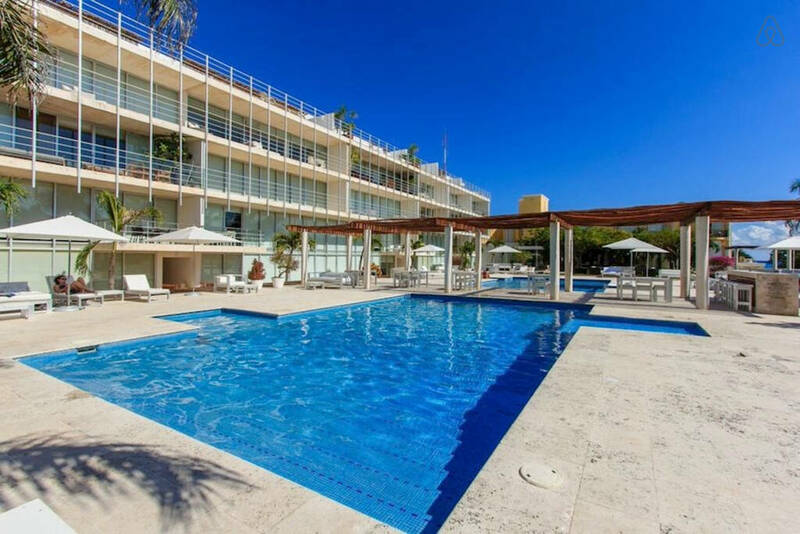 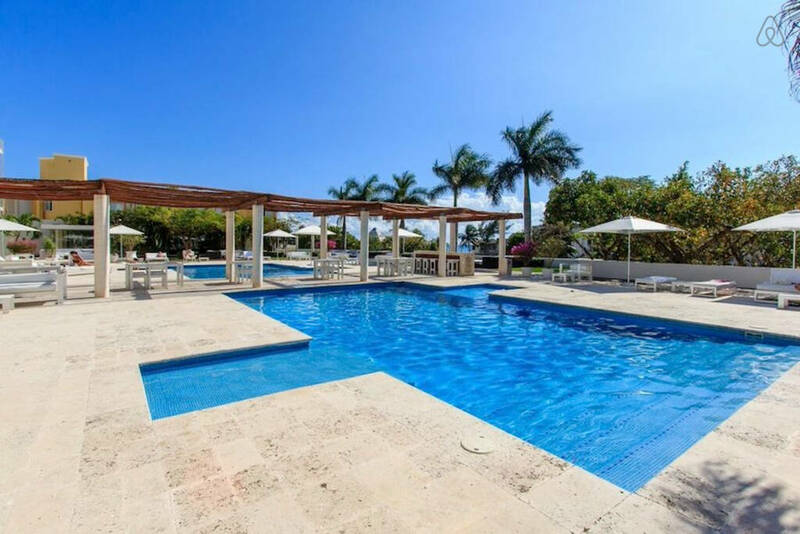 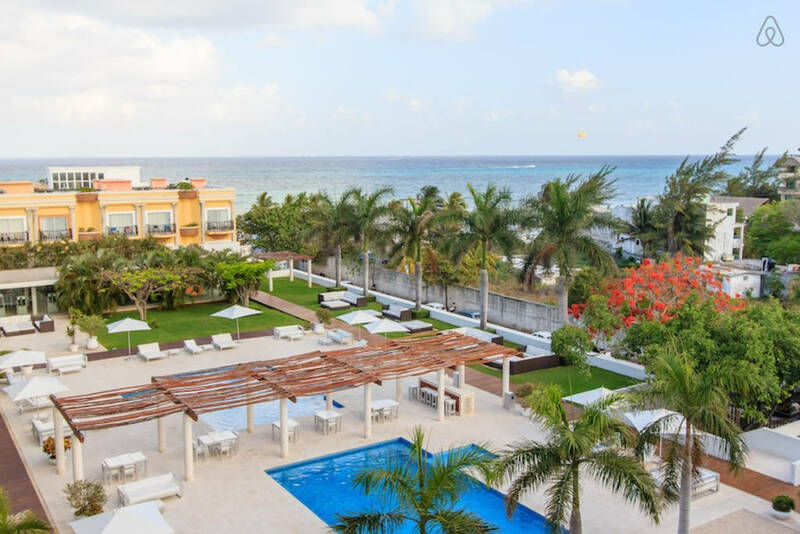 Magia, an exclusive complex and one of the best locations for vacation rentals in Playa del Carmen, features 2 swimming pools (one for kids), lounge areas, beautiful ocean views, 24/7 security, underground parking, and a gym. 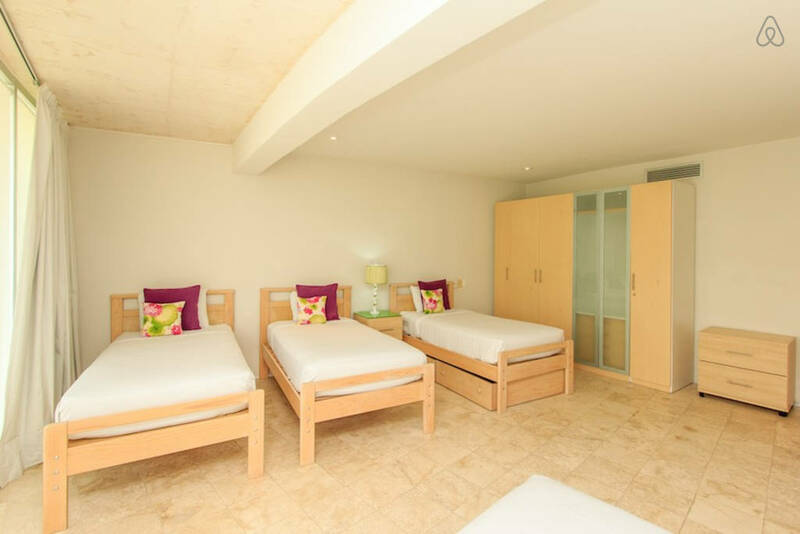 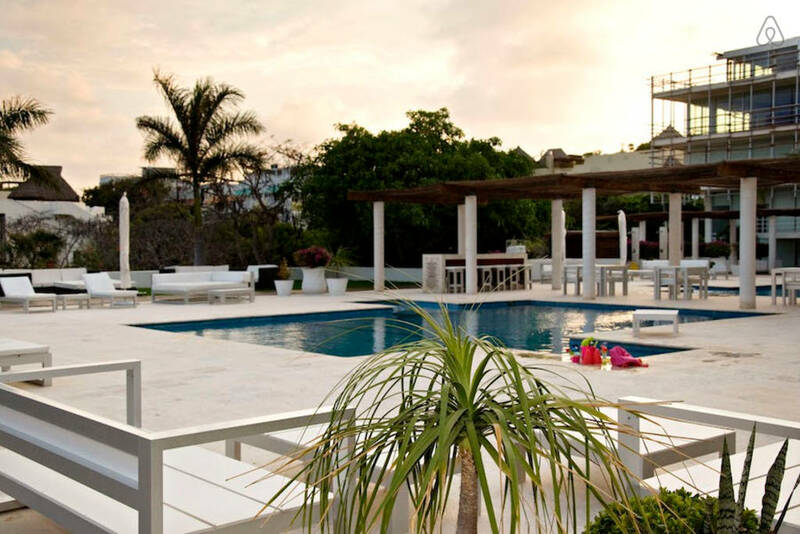 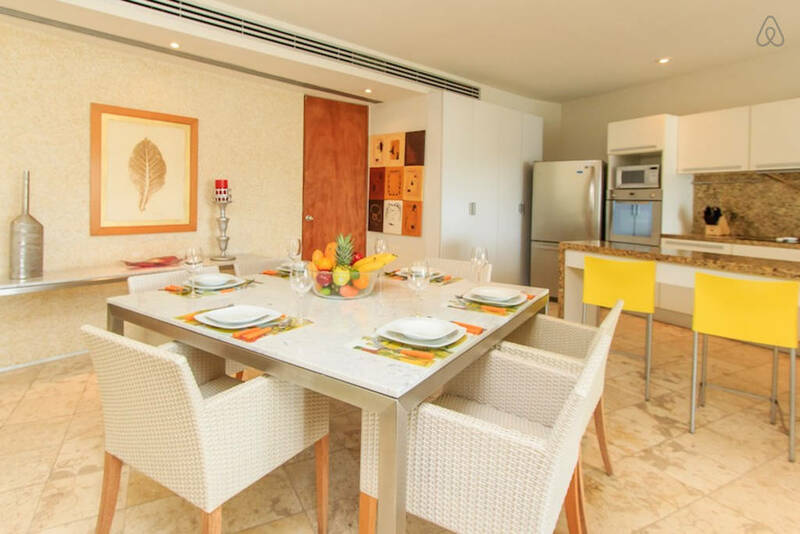 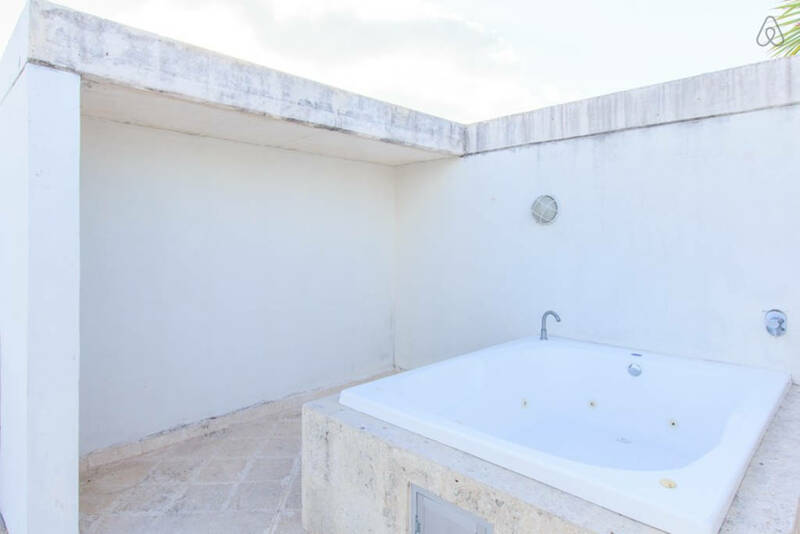 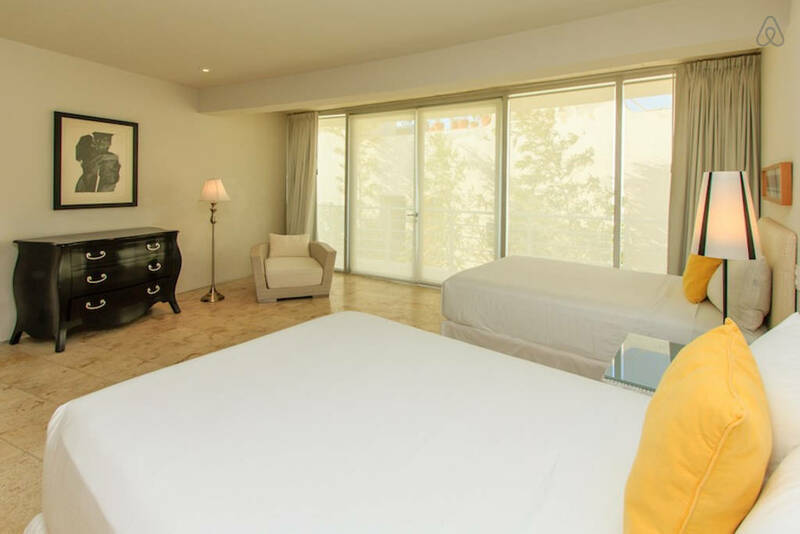 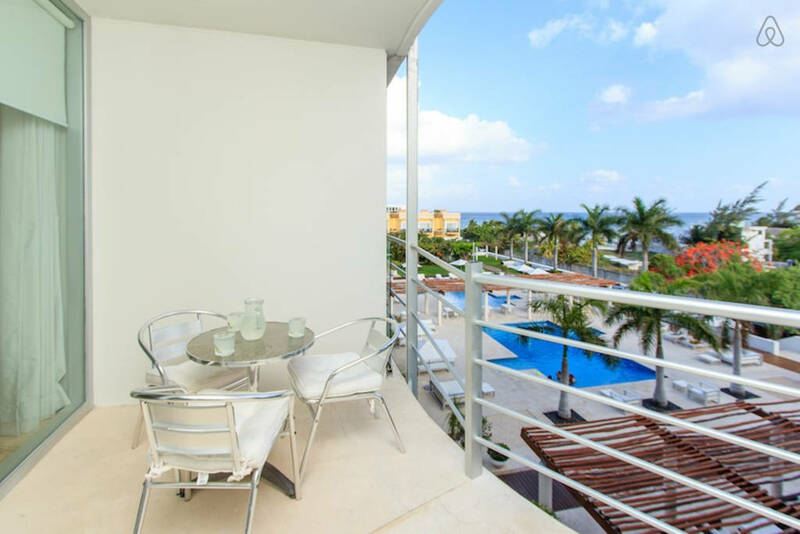 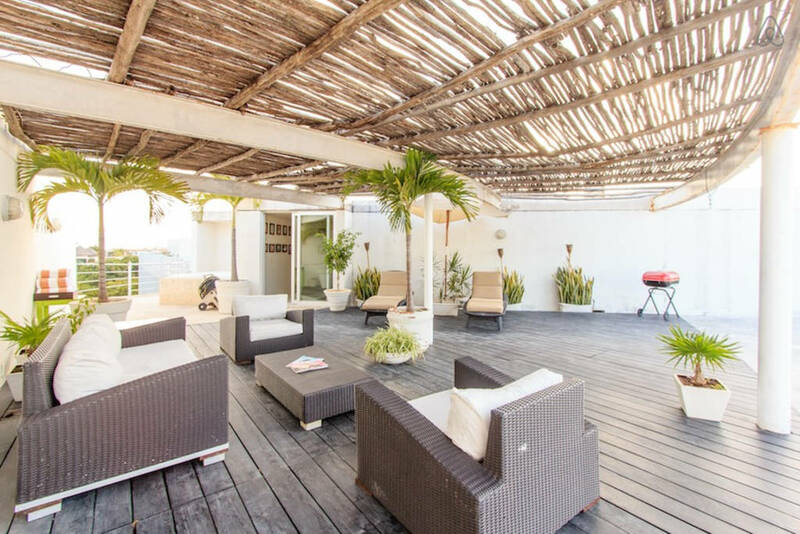 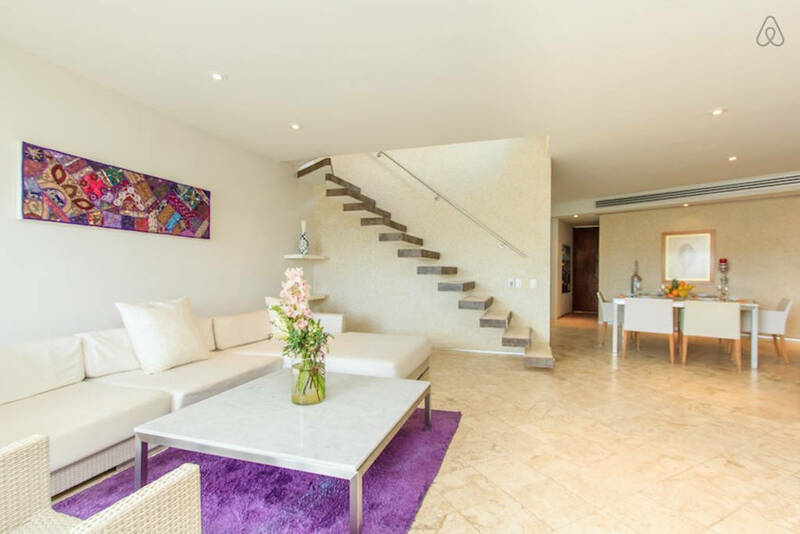 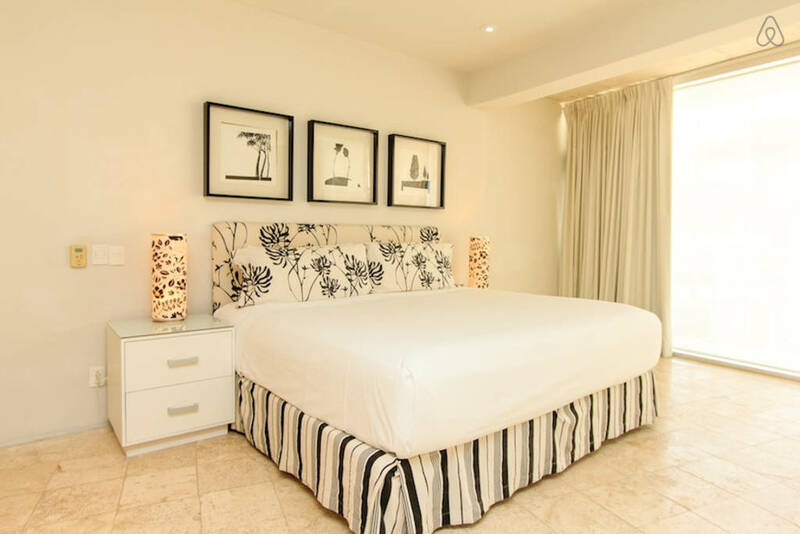 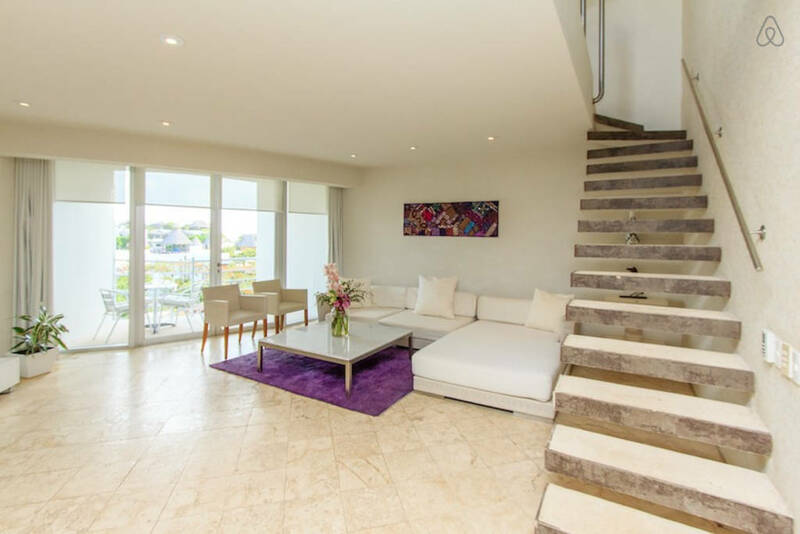 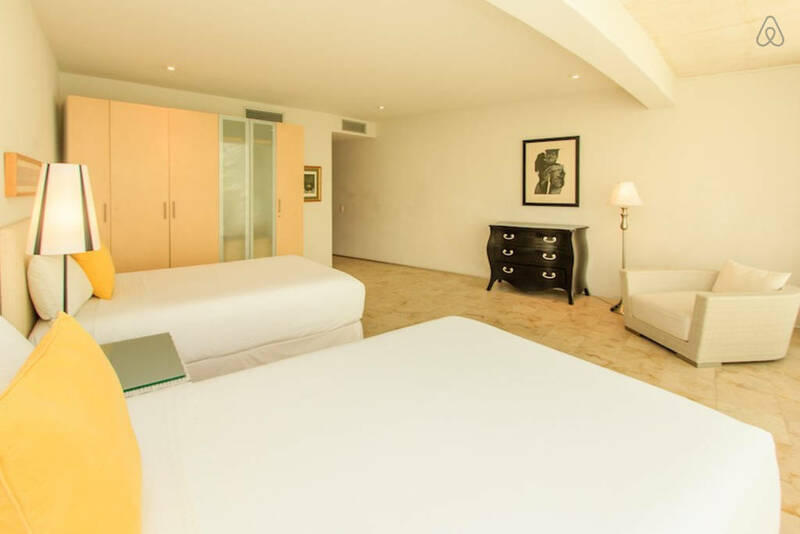 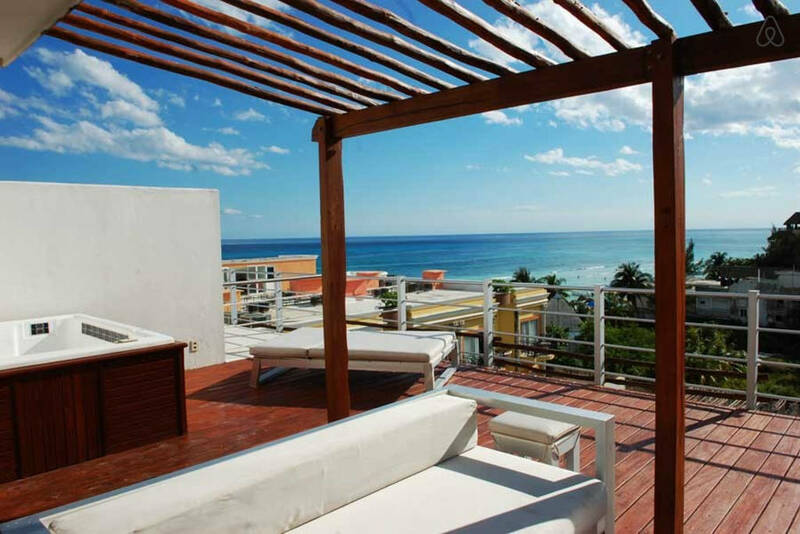 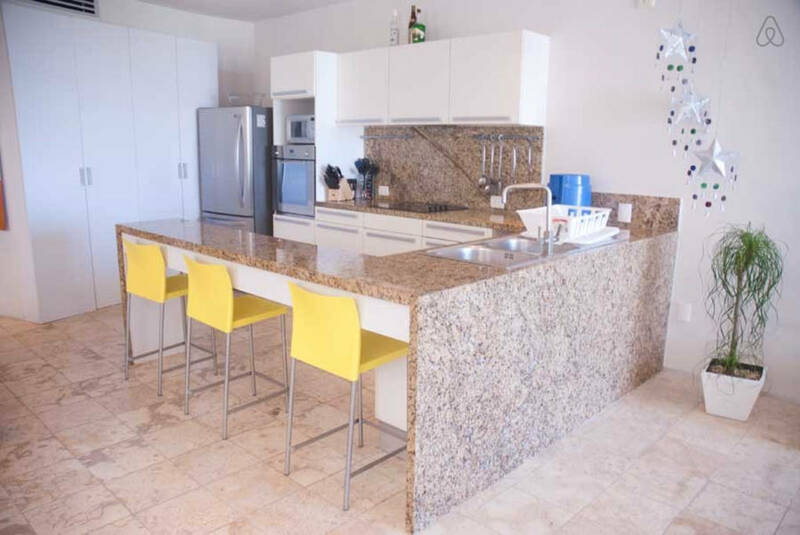 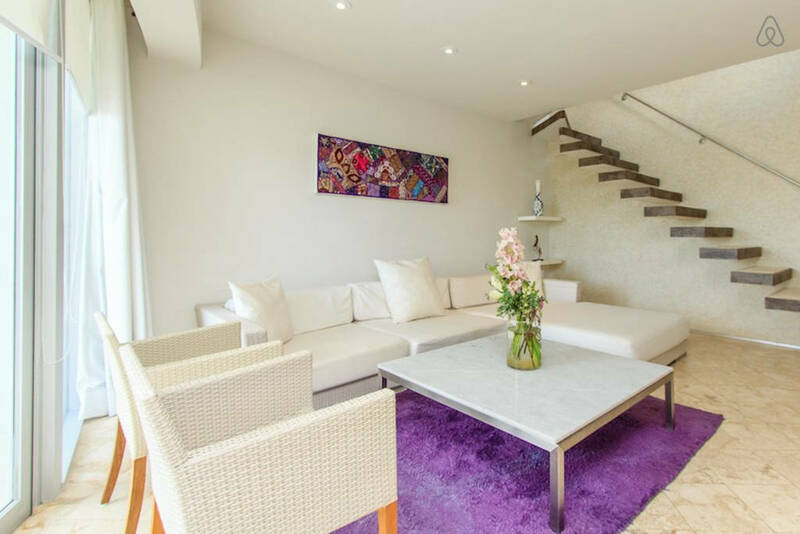 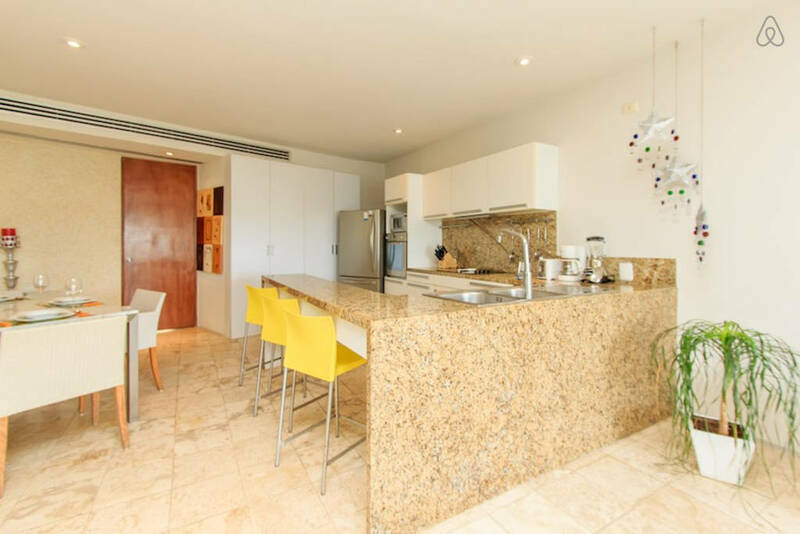 Penthouse Magia Sunset accommodates up to 10 people, making these vacation rentals in Playa del Carmen perfect for a large family or group of friends. 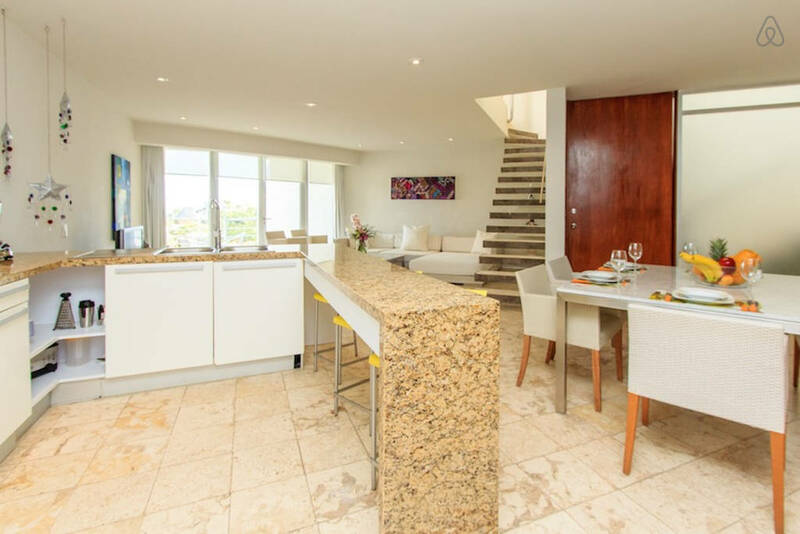 With a contemporary open floor plan and design, the penthouse has a large living and dining area with comfortable sofas, satellite TV and a fully equipped kitchen with bar. 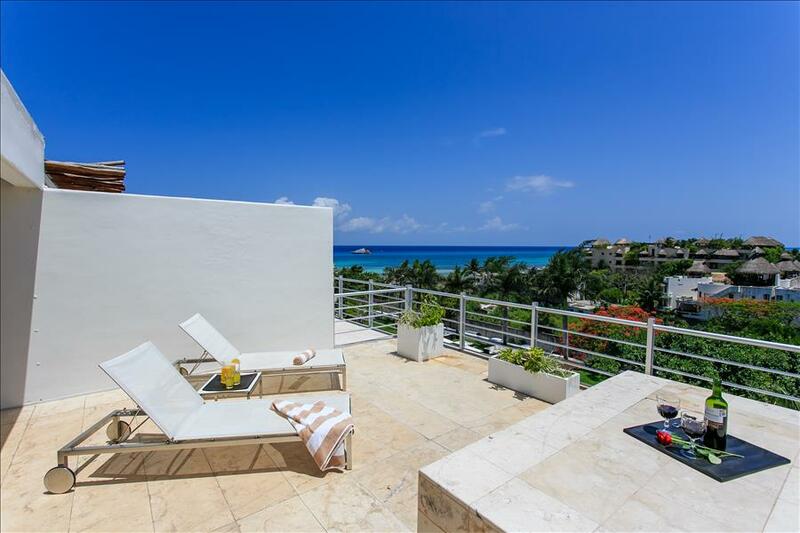 Access the terrace via the living room and enjoy stunning ocean views! 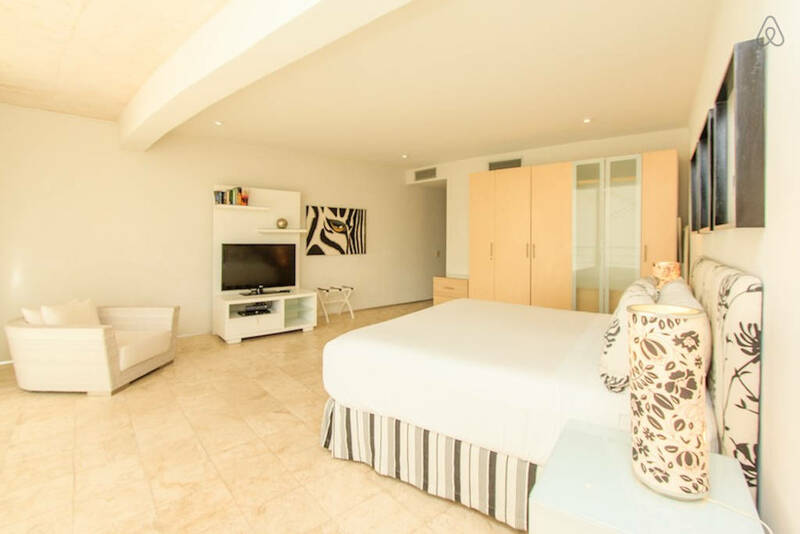 The master bedroom contains a king size bed, TV and en-suite bathroom. 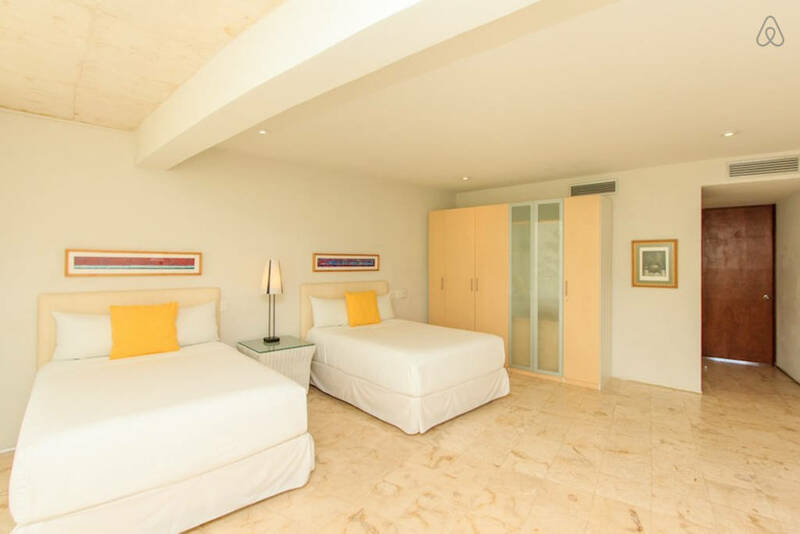 Guest bedroom 1 has two double beds and guest bedroom 2 has 4 twin beds and an additional pull out bed, giving your family or group of friends ample space to sleep comfortably during their stay. 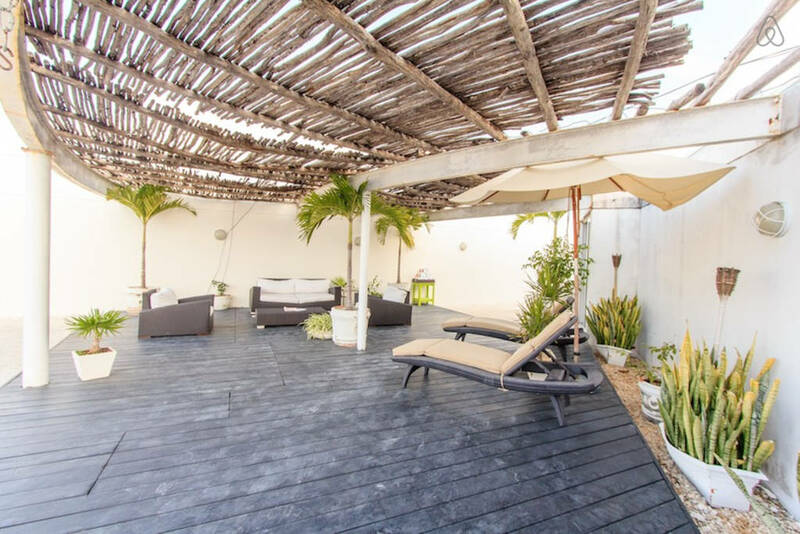 An amazing private rooftop with lounge chairs and Jacuzzi provides a perfect place for unwinding after a day at the beach with a cold drink, enjoying the views of the ocean and planning your next day filled with adventures!